A mountain unicycle odyssey in the Himalayan kingdom of Bhutan! Starring Kris Holm and Nathan Hoover. Wild riding in the high Himalayas! 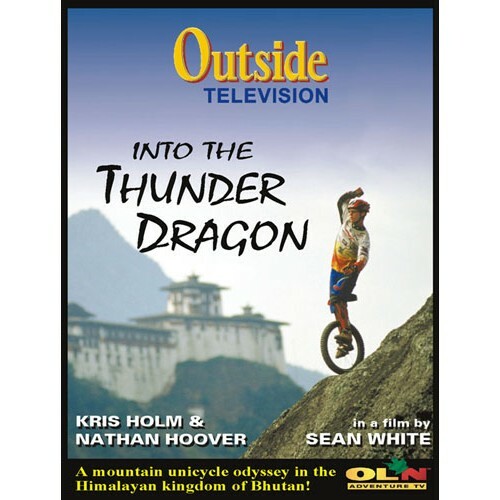 Kris Holm and Nathan Hoover tackle thousand year old trading roads in a trek across the remote Kingdom of Bhutan. Parts of Bhutan had never seen wheeled traffic before these two visited. The narrative of this epic unicycle journey is intercut with trials segments, beautiful scenery and baffling Bhutanese gambling games. Filmed for Outside Television by Sean White, producer of Unizaba, One Tired Guy and Whitetrax this is one movie you'll want to watch again and again. DVD edition has additional bonus features, including riding tips from Kris Holm himself.